Below are general descriptions of common, safe home food preservation methods. Click on the links to see tested recipes and directions using these methods. Also see this page for a glossary of terms used in home preserving. Canning is the process in which foods are placed in jars or cans and heated to a temperature that destroys microorganisms and inactivates enzymes. This heating and later cooling forms a vacuum seal. The vacuum seal prevents other microorganisms from decontaminating the food within the jar or can. Acid foods such as fruits and tomatoes can be processed or "canned" in boiling water (also called the "water bath method"), while low acid vegetables and meats must be processed in a pressure canner at 240�F (10 pounds pressure at sea level). See this page for why you should use a canner and how to choose one. There are a large number of unsafe canning methods that people use, from the no processing at all (just fill the jars and seal, called "open kettle" canning) to oven canning, microwave canning and even using the dishwasher. See this page for a description of these unsafe methods, why they are dangerous and links to references about them. Pickling is another form of canning. Pickled products have an increased acidity that makes it difficult for most bacteria to grow. The amount of acid present is very important to the safety of the product. Pickled products are also heated in jars at boiling temperatures to destroy any other microorganisms present and form a vacuum in the jar. Jams and Jellies have a very high sugar content. The sugar binds with the liquid present making it difficult for microorganisms to grow. 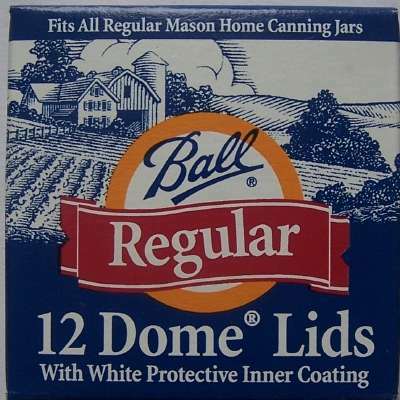 To prevent surface contamination after the product is made and thus possible yeast or mold growth, these are either canned, frozen, or refrigerated. Freezing reduces the temperature of the food so that microorganisms cannot grow, however many will survive. Enzyme activity is slowed down, but not stopped during freezing. Drying removes most of the moisture from foods. Thus microorganisms cannot grow and enzyme action is slowed down. Dried foods should be stored in airtight containers to prevent moisture from rehydrating the products and allowing microbial growth. Are you following the latest canning recommendations? Bottled lemon juice should be added to all canned tomatoes. Jellies, jams, and preserves should be processed in a boiling water bath. 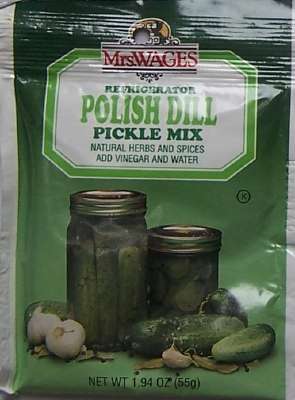 Pickles and pickled products should be processed in a boiling water bath. The pressure for your pressure canner and the time for processing in a boiling water bath should be adjusted according to your local altitude.